The holidays are just around the corner and we are entering the final spurt for 2018. While we are still getting the last Christmas presents, interior experts are already a few steps ahead to announce the hottest furnishing ideas for 2019. That is why we present you the new home trends for the upcoming year. This much can be revealed: It will be pastel and metallic, slow and smart and unexpectedly extravagant when it comes to the design of our walls. You really have to let the first trend melt on your tongue: Lemon, mango or pistachio? What sounds like tasty ice cream varieties will increasingly find its way back into our homes in 2019. 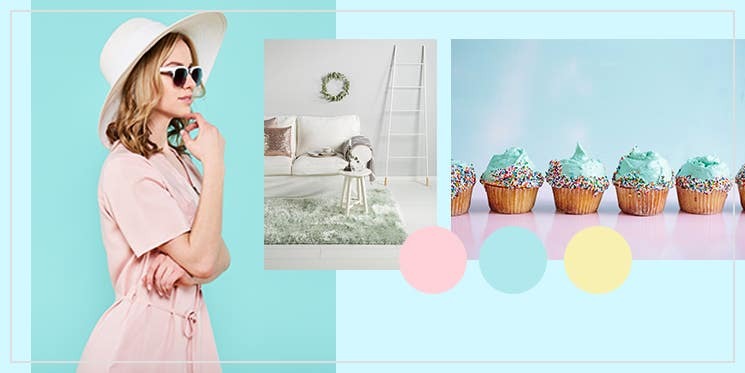 Pastel ice cream tones accompany us not only in spring, but also sweeten the cold winter. The fresh yet delicate colours bring light and warmth into every living room and can also be combined perfectly with one another. You can also use pastel shades all over the place. For example, paint the walls in lemon yellow. Those who only want to set accents simply combine the ice cream colours with subtle beige, grey or warm white tones. Slow pace and time for cosiness - the implementation of this credo is not new to us. Finding peace in your own home and reducing the furnishings to the essentials accordingly is reminiscent of Natural Living and Danish Hygge. In 2019, the Slow Living Trend combines both. Sustainably produced and high-quality materials that create a friendly environment with light, neutral colours are typical of this style. Too many bits and pieces are completely dispensed with. Certainly something for the brave: wallpapers with striking patterns and strong colours. If you think Slow Living is too reduced, maybe this is the right style for you. Not only the fashion is experiencing a Seventies revival, these wallpapers are guaranteed to remind you of the colourful decade, but they are also getting a modern update. Our tip: It doesn't have to be all four walls. A single wall with statement cladding already achieves a great effect and is not too dominant. The advantage that this courageous trend brings with it: Your walls are the stars and the focus of attention. You can now dispense with eye-catching pieces of furniture and decoration with a clear conscience. 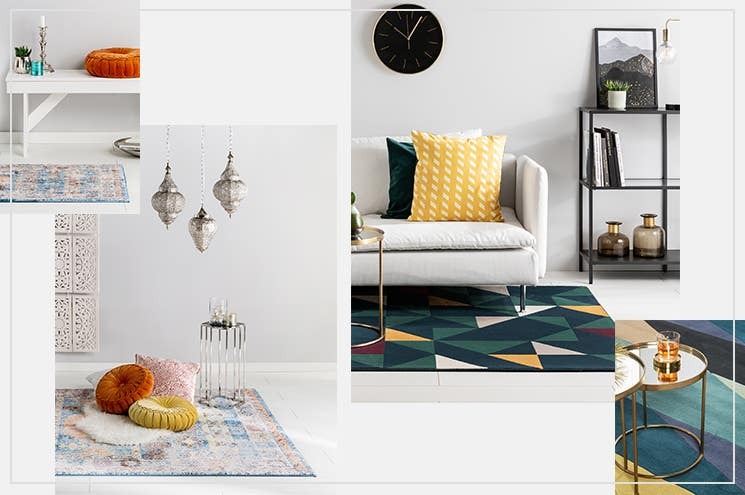 The extravagant trend of hanging rugs will become increasingly popular and is finally making its breakthrough in 2019. 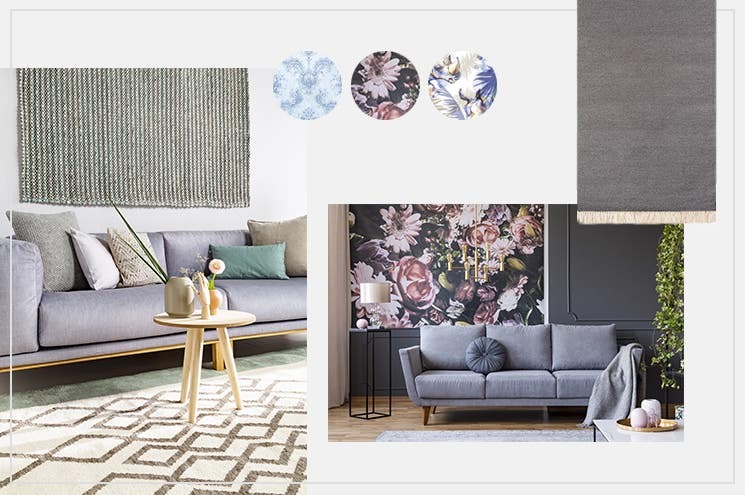 The rug trend 2019 can be realised with both simple and exciting patterns. There are no limits to your wishes, the only important thing is that the rug should not be too heavy. Flat woven rugs are therefore particularly suitable. In this article you will find detailed tips on how to hang up your rug and what else needs to be considered. The rug is definitely the home textile of the year 2019 - we at benuta are delighted! This trend also seems somehow familiar to us. Accessories in different metals like copper, silver and gold. In 2019 the focus will be on cool silver tones. As unusual as this style is for us, it is also universal. With an industrial chic interior metallic home accessories come into their own. Together with worn-out wood and leather, they give your home factory hall character. But accessories in silver also go wonderfully with the 2019 hip ice cream colours! As much as we love minimalist looks and Slow Living, a contrasting trend is on its way. Anyone who thinks of Modern Glamour as a dusty baroque look is mistaken. The new glamour integrates modern elements, such as the metallic accessories from the aforementioned trend, giving your interior something cosmopolitan. Furniture and accessories are complemented by shimmering textiles. Velvet - another major theme in the upcoming year - and satin are a must for this style. We recommend all those who do not want to wait for the turn of the year to be the first to implement this trend. Modern glamour fits particularly well into the cold season and can also be a great basis for this year's Christmas decoration. With all the glamour and extravagance we should not forget another living trend for 2019: Practical furniture. These are not only smart and versatile, they also look stylish and chic next year. An intelligent trend that is particularly suitable for large city dwellers. Where housing is expensive and offers space for only a few pieces of furniture, you benefit enormously from the multi-functionality of these all-rounders. For example, there are stools that can also be used as side tables or shelves. Pretty smart! 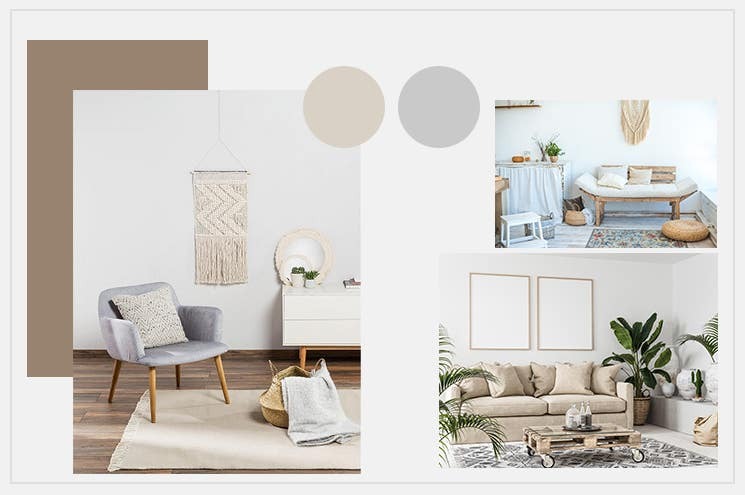 As contrasting and varied as the furnishing trends for 2019 are, there is sure to be a style to suit your taste. You can look forward to an exciting new year that also has many surprises in store when it comes to furnishing. It won't get boring!